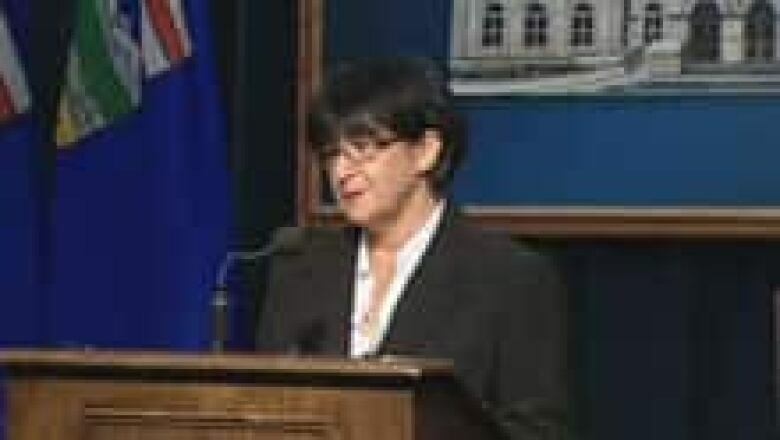 The province announced funding Thursday for a new facility in Calgary that will help victims of child abuse. Children and Youth Services Minister Yvonne Fritz announcing funding for a facility that will help victims of child abuse. (CBC)The province announced funding Thursday for a new facility in Calgary that will help victims of child abuse. The facility will bring law enforcement, health, and child and family services professionals under one roof so that they can better coordinate their work, said Children and Youth Services Minister Yvonne Fritz. "This funding is an important first step to help ensure better support for victims of child abuse and their families," she said in a release. Calgary Police Chief Rick Hanson said the new facility will reduce the trauma experienced by child victims — offering better support for them and their families than is currently available — while enhancing the investigation and prosecution process. "A one-stop centre for child abuse in Calgary is long overdue," said Hanson. $1.4 million for the project is coming from the province's Safe Communities Innovation Fund, which was established in 2008 to reduce and prevent crime in Alberta.